Beautiful piece! Thank you so much for joing us at scrapki-wyzwaniowo! So interesting and unusual frame! I like the composition and the details! 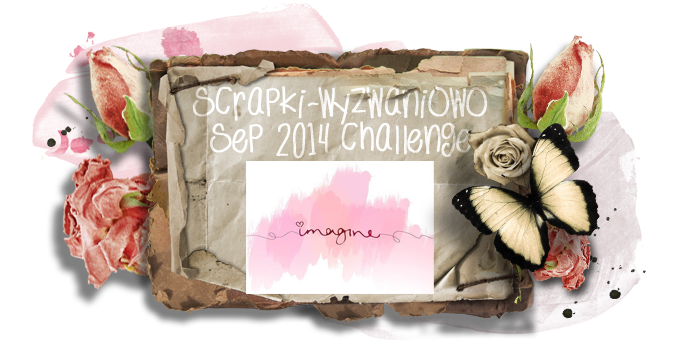 Thanks for joining us at Scrapki-Wyzwaniowo! Bardzo fajny pomysł smakowite szczegóły Dziękujemy za udział w wyzwaniu! I cant read what you wrote, the translation is not good. But I like your work as is!Thanks for joining us at Scrapki-Wyzwaniowo! I didn’t thought about writing in english… now I see i schould. I promise I’ll be better next time. 😉 Feel free to visit and comment!